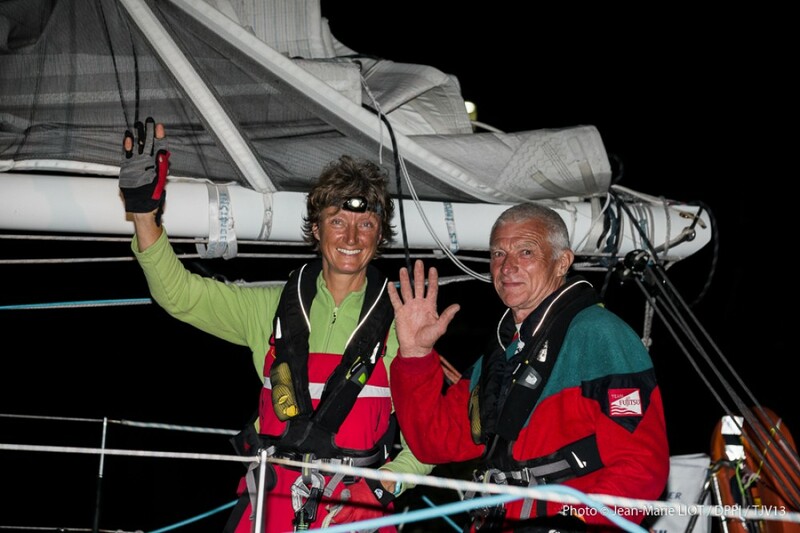 Amateur Australian duo Michelle Zwagerman and Patrick Conway crossed the finish line of the Transat Jacques Vabre in Itajai, Brasil this evening at 2238hrs 03” local time (0038hrs 03” UTC Friday) to finish in 21st place in Class 40. 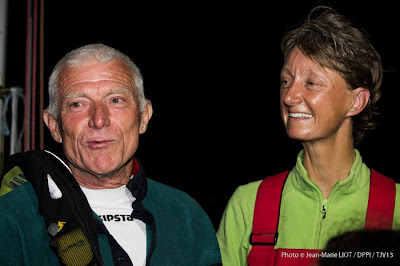 The first Australian couple to complete the race which started on 7th November from Le Havre in France did so in an elapsed time of 26 days 23 hours 23 mins and 28 seconds. 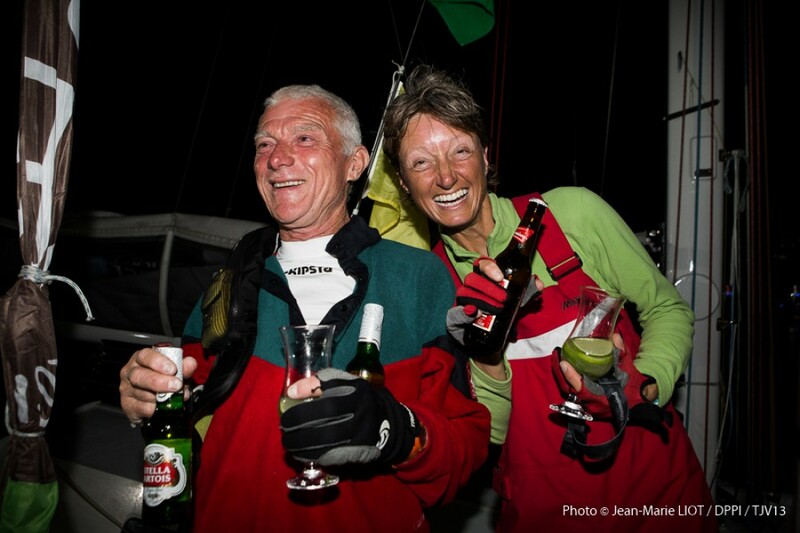 They finished 6 days 1 hour 42 mins and 03 seconds behind Class 40 winners GDF SUEZ. Over the theoretical course of 5450 miles from Le Havre to Itajai they averaged 8.76 knots. In reality they sailed 5672 miles averaging 8.76 knots. The end of their adventure came with the final finish line. It started a year past in April when they bought their Akilaria RC1 in La Rochelle on which pre-start they had sailed more than 3000 miles, including competing in the Les Sables Horta Les Sables race and the Roma per Due. 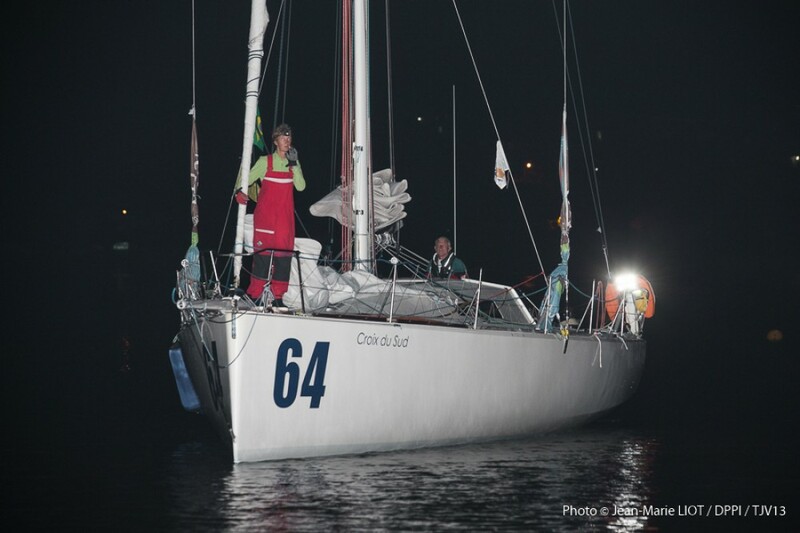 As committed amateurs, Patrick is an international project manager who is a long time Sydney sailor whilst Michelle, and IT consultant, the husband and wife team took a two years sabbatical and spent the best part of the first year training and learning their boat. The Transat Jacques Vabre was the pinnacle of their dream. They set off with the main objectives of finishing the race, together and not being last. In the early stages they were 17th to 19th, but when the conditions became harder, they were content to consolidate and sail more safely to ensure they reached the finish of the race. They ensured that, by and large, their problems were relatively small. Early on they had a problem with their hydrogenerator and latterly they wrapped their key spinnaker tight around the forestay. The last three days were some of the more testing with light winds mixed with some big squalls, but they took them in their stride and looked delighted when they appeared out of the dark this evening. 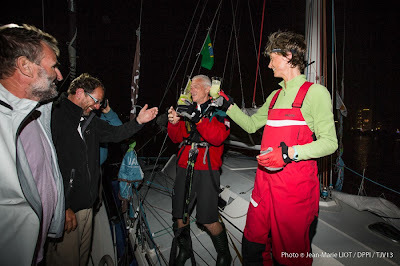 Michelle Zwagerman, AUS, co-skipper Croix du Sud: “We are relieved. But I can’t believe we have done it. But we are very sad too, this is the end of the journey. Patrick Conway, AUS, co-skipper Croix du Sud: “We have had a lot ‘us’ time. It has been a really good journey. It has maybe made us go a little bit slower, but we took time to be together and talk. We got a little bit more tired than we should have. But it was a lot of fun. Today when we hit some big squalls and the boat is getting hammered, Michelle turned around and said: “Shall I put the kettle on?” That was in the third thunderstorm and I thought the gods were trying to tell us something... Ecolec are still out there and have a hard slog. We were trying to catch Obportus but they were just a little bit too quick for us. They passed us just off the coast of Brazil and have been a bit quick.